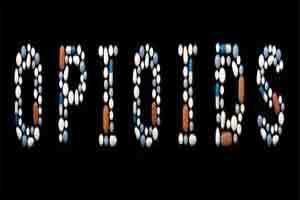 Slow-release oral Morphine (SROM) has emerged as a promising candidate for oral opioid agonist therapy. However, more research is needed before it can be incorporated into U.S. treatment guidelines. A commentary from the British Columbia Centre on Substance Use is published in Annals of Internal Medicine. With more Americans dying from accidental opioid-related overdoses than from motor vehicle accidents and homicides combined, it is clear that evidence-based solutions are urgently needed. Despite the proven benefits of opioid agonist therapy with buprenorphine or methadone, several health systems and regulatory barriers to this treatment persist throughout North America. In addition, buprenorphine and methadone may not be effective for all patients. These barriers have resulted in a large unmet treatment need, leaving an estimated gap of up to one million persons with untreated opioid use disorder, who continue to be at risk for overdose death and other negative health and social outcomes. Existing studies suggest that SROM has comparable efficacy to methadone and is well-tolerated by patients, with a lower risk for drug-drug interactions. SROM-based oral opioid agonist therapy is increasingly and successfully used in several European countries and Canada, but more research is needed before it can be determined how SROM could be used in the United States. The authors suggest that the U.S. must also address the regulatory burdens that create barriers to treatment. The Canadian model, in which methadone is dispensed through daily witnessed ingestion in community-based pharmacies could be adapted in this country, which could help to overcome current treatment gaps.